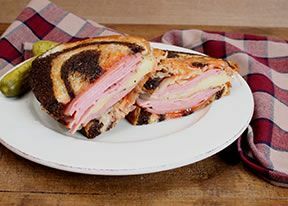 For the lightere appetitite that wants the pastrami on rye flavor without a large amount of meat. 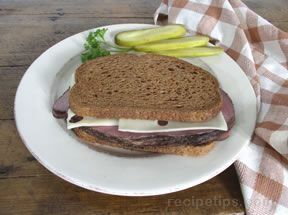 Spread a spicy or stone ground mustard or mayonnaise on each slice of rye bread. 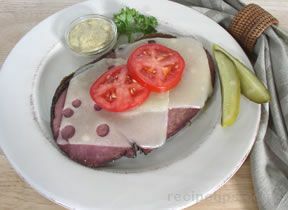 Layer pastrami and cheese on mustard. 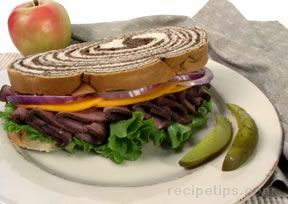 Cover with remaining slices of bread, cut in half and serve.